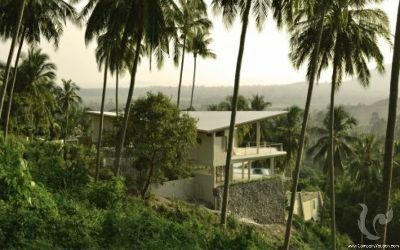 This stunning villa is situated only minutes from the beach, with it's beautiful views of the ocean and lush jungle canopy. 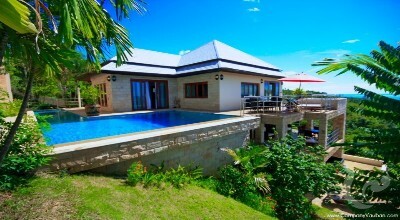 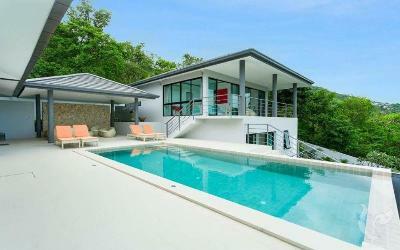 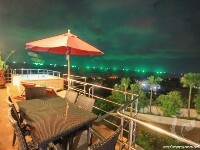 This villa is must view property. 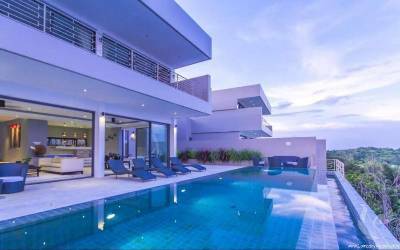 With four bedrooms, four bathrooms, two living areas, two kitchens, two dining areas, laundry room, car portal and infinity swimming pool, maids room. 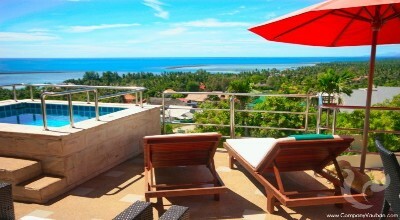 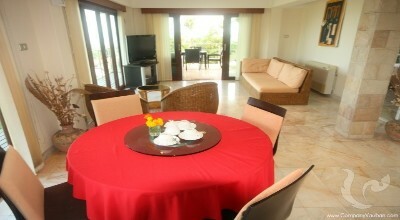 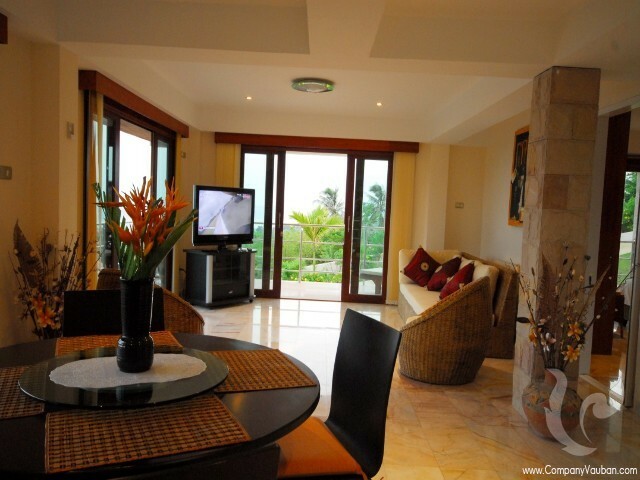 The apartment boast large living area, with a terrace overlooking the beautiful ocean reef. 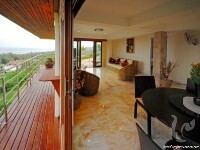 This leads off to the Kitchen/dining area. 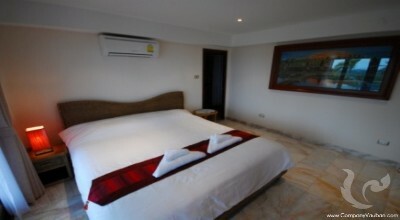 Each room has air conditioning. All bathrooms have hot and cold water. 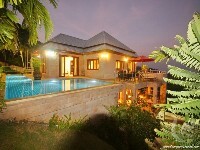 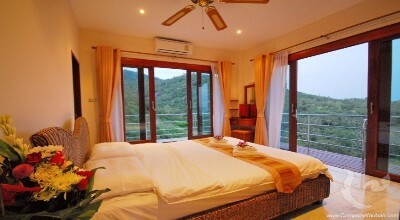 The property can be used as one big villa or split into two separate units. 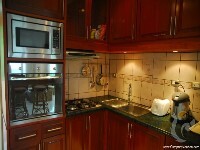 This gives the option of the top being a two bedroom unit and the bottom as a separate two bedroom unit. 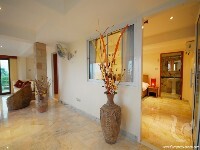 Allowing rental of the lower apartment while using the top unit would give a good return on your investment. 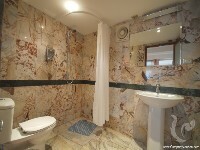 The building is of a high western standard, with marble floors throughout. 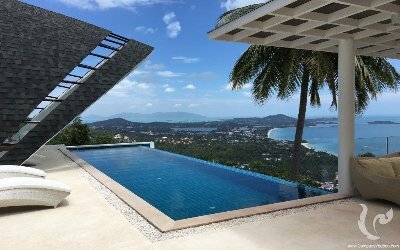 There is a flavor of Thai and European influence. 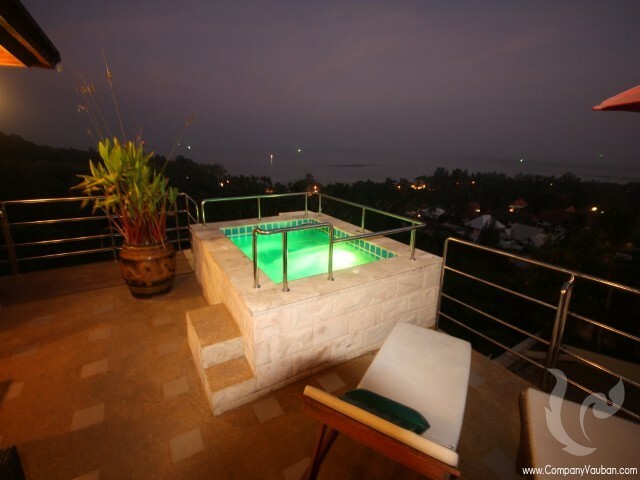 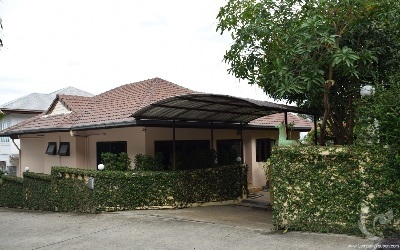 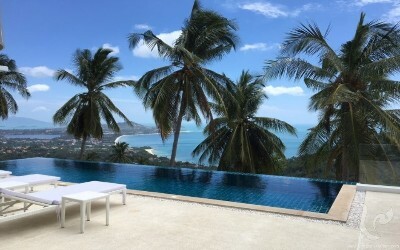 The landscaping is designed by one of Koh Samui best gardening experts. Golden sandy beaches are only a five minute walk away, with very good restaurants available nearby. 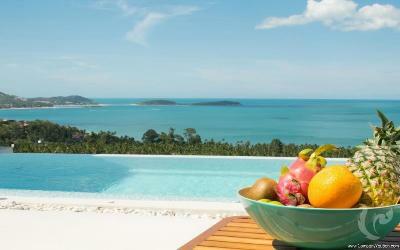 Lamai is a ten minute drive, and has good shopping, beautiful beaches with fine dining available also. Rental price is depend on the season !!! ***All prices are fully inclusive of: Tax, VAT, airport transfers, daily maid service, linen, free food and drink pack on arrival and fresh flowers. Prices for group of up to 8 Persons in our 4 Bedroom Top Floor Villa and first floor Apartment with Private Pool and sea views. 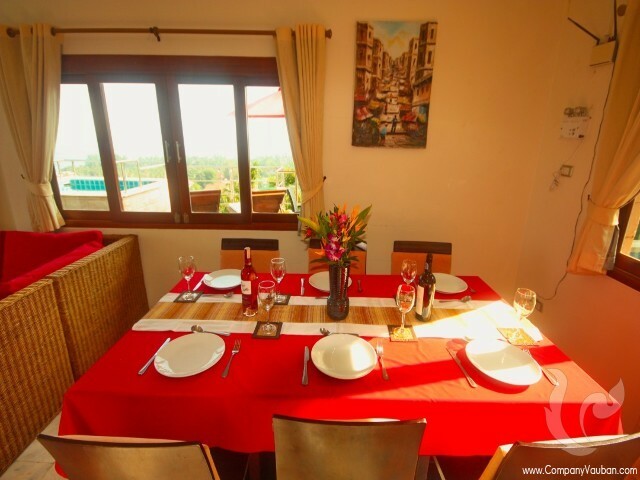 With the property being split into two separate units this enables two families to have there own private living space, yet be able enjoy their holiday together. 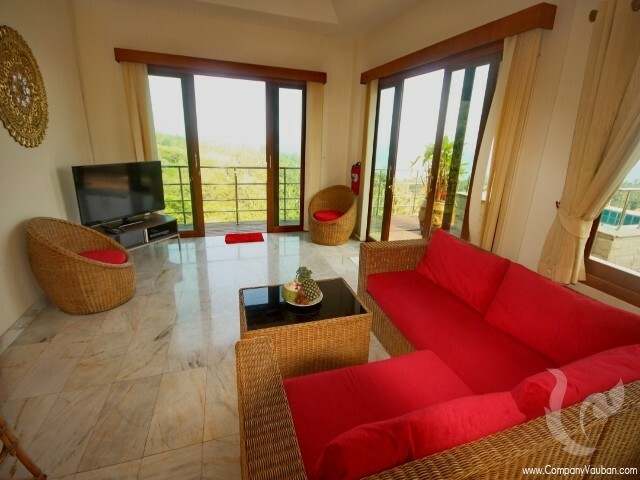 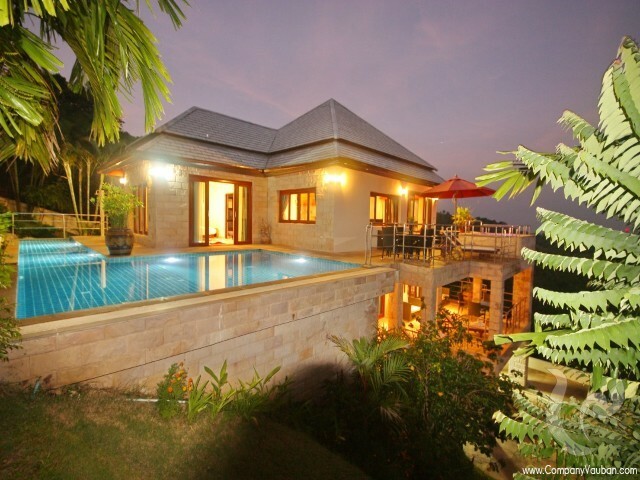 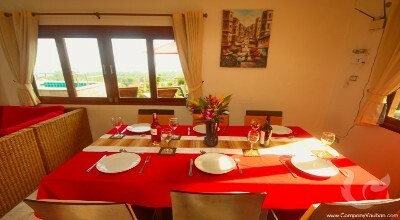 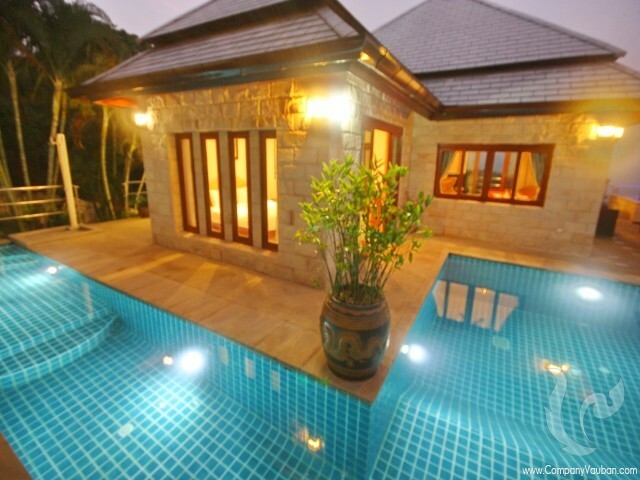 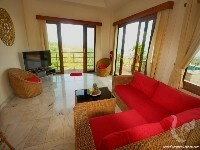 Note: The villa is not rented out to separate bookings. So if you only rent the top floor villa the lower floor apartment will be kept empty for privacy.